Preheat oven to 375°F. Add the chicken to a small bowl and toss with the Italian seasoning. Unroll the sheet of crescent dough and firmly press perforations to seal. Leaving about 1/2 inch on 1 long side uncovered, spread evenly with the Alfredo sauce and top with the chicken and cheese mixture. Starting with topped long side, roll up dough toward uncovered edge; pinch seam to seal tightly. Cut roll into 8 equal slices. 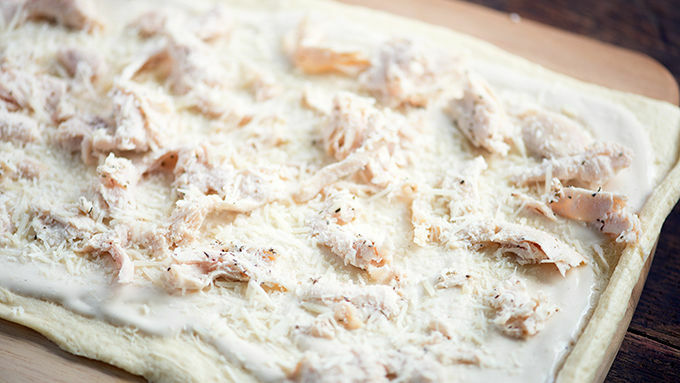 Place slices on a baking sheet and bake for 12-15 minutes or until dough is golden and cooked through. Serve with warm Alfredo sauce for dipping. 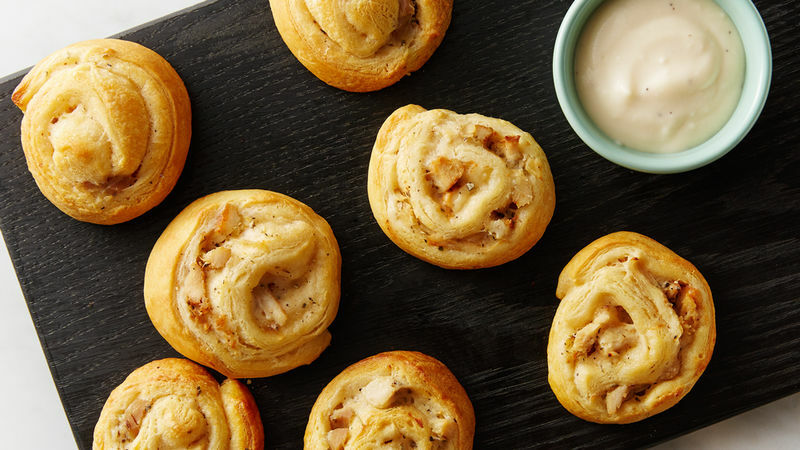 With just a little sauce and a little chicken, you can roll your way into snack food heaven. I’m applying for a new job. Forget this blogging thing. I want to officially be the Crescent Roll Dough Recipe Idea Maker. I bet that job pays super well and even if it doesn’t, I’ll be eating crescent rolls all day, so I don’t even care. 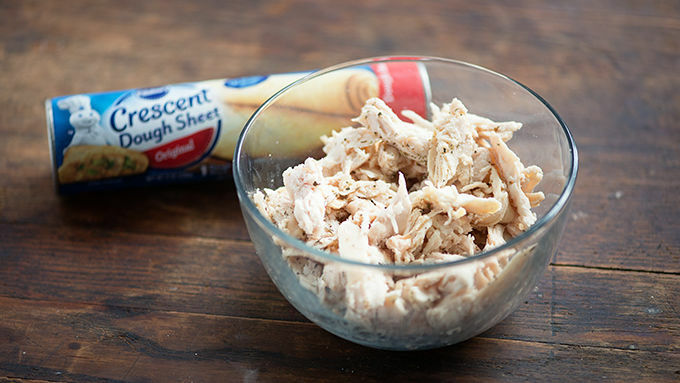 Crescent roll dough is so versatile and finding something new to do with it is totally fun. 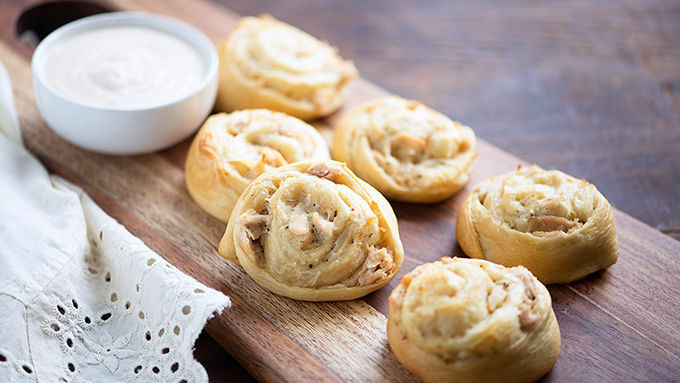 Like these chicken Alfredo pizza pinwheels! They make a quick lunch with some salad on the side, a perfect appetizer, and a simple but filling snack. So, basically you should just eat these all day long.